It’s understood the woman had contact with gardaí sometime in the hours before her death. A REFERRAL HAS been sent to the Garda Síochána Ombudsman Commission in relation to a woman who died last night after being struck by a car in Co Donegal. The 59-year-old pedestrian was pronounced dead at the scene at Umricam, Buncrana at approximately 9.15pm last night. 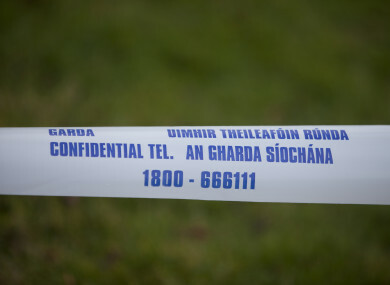 The incident was referred by the Garda Síochána to GSOC under section 102 of the Garda Síochana Act 2005, which provides for independent investigation of any matter that appears to indicate that the conduct of a member of the Garda Siochana may have resulted in the death of, or serious harm to, a person. In a statement to TheJournal.ie, GSOC said that it understood the woman had contact with gardaí sometime in the hours before her death. “GSOC has deployed a team of investigators to the scene and an examination of the matter is underway,” it said. A post-mortem examination is due to take place later today. The road remains closed and diversions are still in place. Investigations are ongoing and Gardaí are appealing for witnesses to contact Buncrana Garda Station on 074 9320540, the Garda Confidential Line on 1800 666 111 or any Garda station. Email “GSOC investigating after woman (59) fatally struck by car in Donegal”. Feedback on “GSOC investigating after woman (59) fatally struck by car in Donegal”.